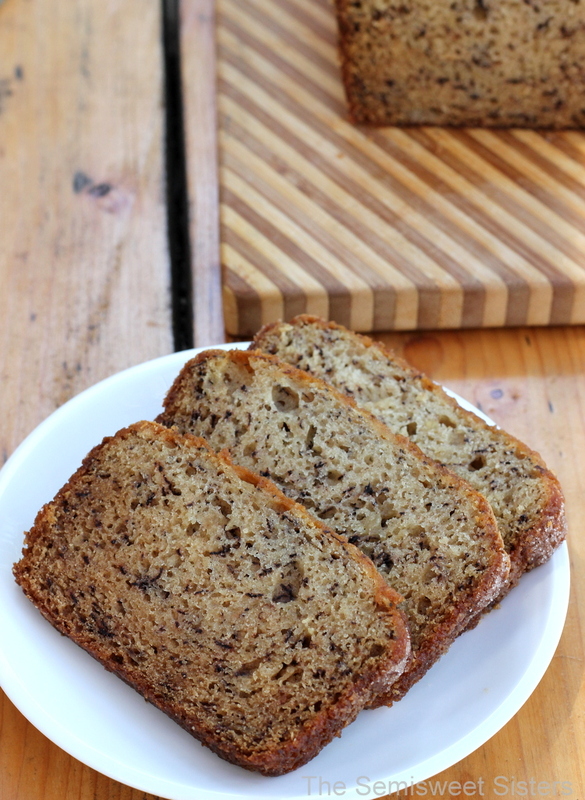 The best banana bread recipe I have ever made, super moist with a cinnamon and sugar crust. I have always been a huge fan of banana bread. 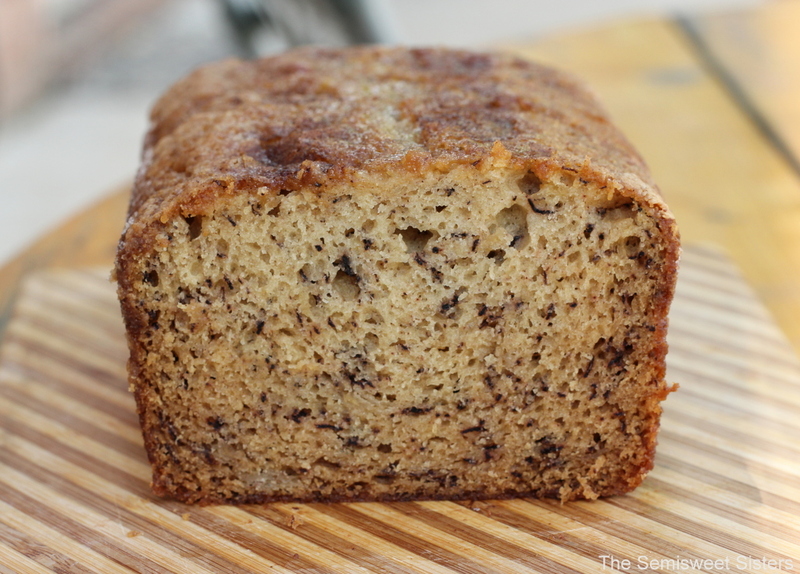 Before this recipe came along my go to recipe was always a classic buttermilk banana bread recipe. However now that I’ve had this bread I never find myself going back to make the buttermilk kind. I think there are two things that make this recipe stand out above the rest, the sour cream because it keeps it super moist and my favorite spice, cinnamon. Cinnamon compliments the flavor of bananas so well that it makes each bite a match made in heaven. But please, don’t take my word for it; give this recipe a try for yourself. I used a potato masher to mash the bananas; I find it works really well. One of my favorite parts about this recipe is the cinnamon & sugar crust. Just grease the loaf pan & dust with cinnamon & sugar. This recipe makes 2 loaves. No mixer required, you can hand mix the whole thing. Don’t forget to grease those bread pans and coat them with cinnamon and sugar. The cinnamon and sugar crust is one of my favorite things about this recipe so I don’t want you to miss out on it (can you tell? I’m kind of obsessed with the crust). This recipe is also very forgiving, sometimes I use 2 bananas for this recipe sometimes I use 3; it just depends on how many bananas I have around to use. Honestly sometimes I use bananas that aren’t really ripe at all (yup, they are still pretty yellow) because I’m craving this recipe & I don’t want to have to wait another day or two to make it. Grease two loaf pans. 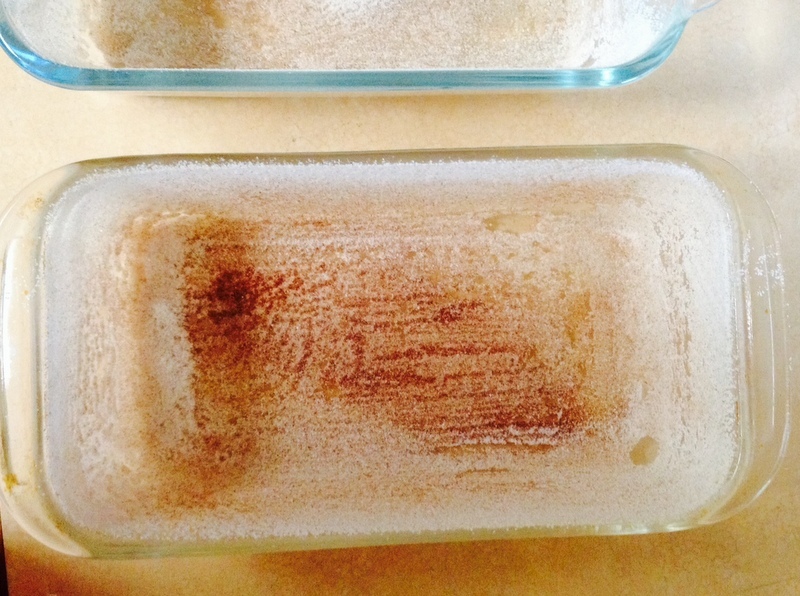 (My loaf pans are 8.5x4.5") In a small bowl, mix together 2 tablespoons of sugar and ½ teaspoon cinnamon. Dust pans lightly with cinnamon and sugar mixture. It should stick easily with the sides greased. 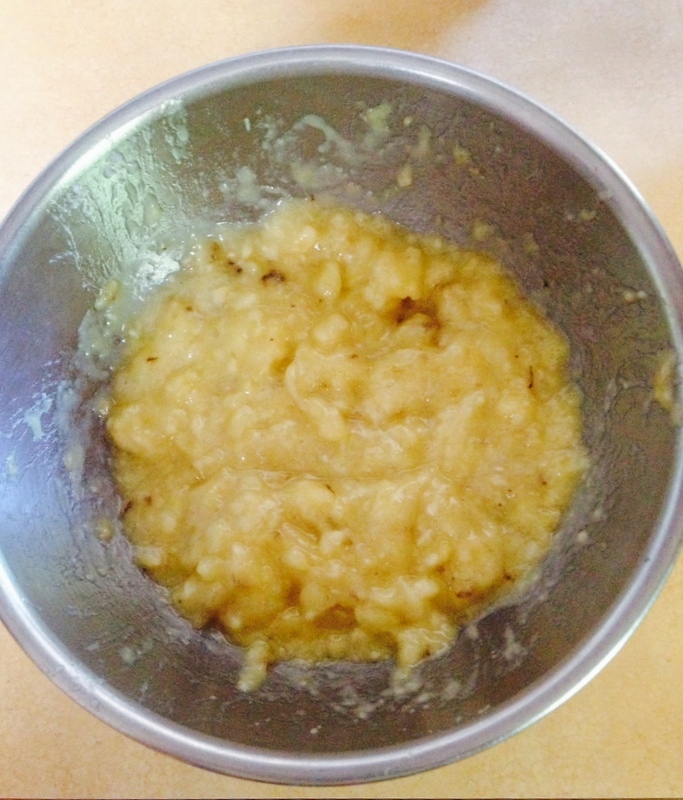 In a large bowl, mix butter and sugar together. Stir in eggs, mashed bananas, sour cream, vanilla and cinnamon. Mix in baking soda and flour. Stir in nuts if you are adding them. Divide batter into the two prepared pans. *This is half of the original recipe, the original recipe makes 4 loaves of bread & calls for 3 eggs. I usually add 1 1/2 eggs when I make it but I’ve also made it using 2 eggs, it still turns out great. Just like you, I’m fond of banana bread. But lately, I’ve been searching for possible twist to the banana bread recipe I have. Glad I found yours. Hi, if I divide all the ingredients in half will it be okay for one loaf of bread? Hi! Yes, it should turn out just fine.